Former Alleghany College baseball player ('95) who started kettlebell training in 2014 and earned his Hardstyle Kettlebell Certification (HKC) in 2015. He teaches small group classes and one-on-ones for kids and adults, as well as assists DSP Performance Workshops. Outside of the studio he has coached youth sports since 2007. Joe loves to take Bigram Yoga classes weekly. Darius Gilbert is the owner of Dynamic Sport Performance a performance training company located in Alexandria, Va. He is known throughout the US for his extensive background in kettlebell training and his kettlebell programs for athletes. Darius went to Episcopal High School where he earned eleven letters, leaving the school as the all time scoring leader in both basketball and football. In 1991 he was named 1st Team All - Met Quarterback, earning a full scholarship to play football at the University of Virginia. Darius got his start in sports performance after training with elite speed coach Tom Shaw in New Orleans, Louisiana. In 2008 Darius earned his Russian Kettlebell Certification through Dragon Door the leaders in kettlebell training. 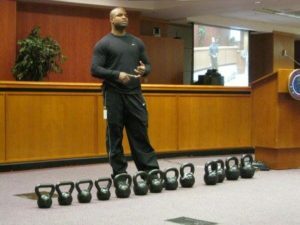 He has used the kettlebell for rehabilitation of hundreds of athletes and to train dozens of sport teams in the Northern Virginia area. Darius has also hosted several certifications and courses with the likes of Dr. Charlie Weingroff, Dr. Craig Liebenson and Master RKC Brett Jones, all world renowned strength coaches. As a Washington DC native, Grady grew up playing soccer with Stoddert Soccer Club. Grady spent his high school soccer days at Gonzaga College High School and eventually made the jump to college soccer at Penn State University. Throughout his BIG 10 college career Grady spent his summers playing in the United Soccer League’s PDL with the local Northern Virginia Royals. Immediately after graduating, Grady spent his rookie professional season in 2008 playing with DC United and their reserve team but then soon made the decision to try and play overseas. His quest for soccer took him to the Egyptian Premiere League where he spent quality time with teams like Zamalek and ENPPI eventually landing a spot with the second division side El Gouna FC. He competed in two Egyptian Cup matches with El Gouna FC and half a season of friendly matches against first and second division Egyptian clubs. Grady’s next step found him with FC Leones of the Puerto Rican Soccer League where he and his teammates lifted the trophy as the 2011 PRSL Champions. Grady eventually made the movefrom outdoor to professional indoor soccer and spent the 2011/2012 Major Indoor Soccer League season with the Rochester Lancers. 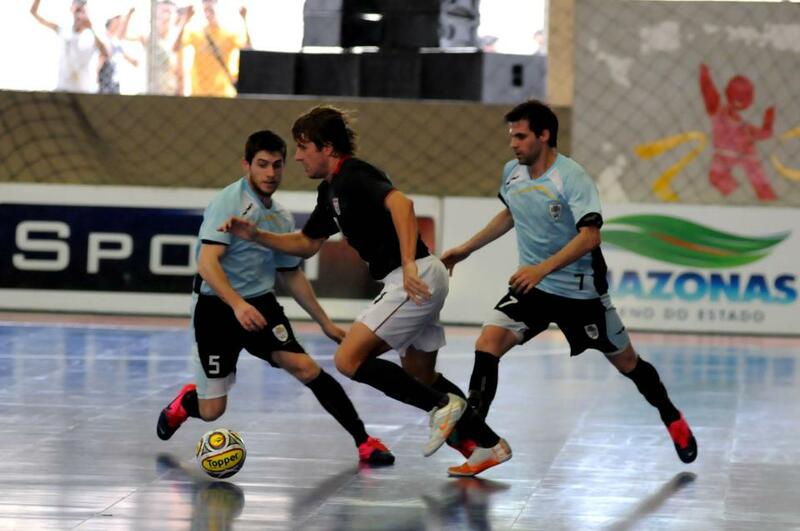 2011 also market a career high point for Grady when he was selected to the US Futsal National Team. 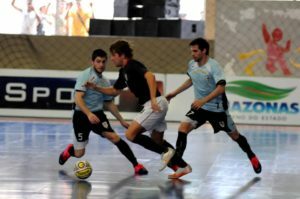 Grady competed in the 2011 Futsal Grand Prix in Manaus, Brazil. Grady has helped coach Gonzaga College High School to a WCAC championship in 2010 and also has experience coaching the Northern Virginia Royals U20 teams. He currently coaches both U9 Boys and U10 Girls with Alexandria Soccer Association. 2013 marked the first year Grady introduced his year‐round futsal program in the Washington, DC area starting with winter skills clinics and full day summer camps. The Dynamic Sport Performance Futsal program will train both individuals and teams in the sport of futsal. The DSP Futsal team will play against other futsal teams in the area and compete in the Northeast Regional Futsal Tournament in February, 2014. Grady graduated from Penn State University with a degree in Economics and also holds a personal training certification with the National Academy of Sports Medicine. He holds a United States Soccer Federation “D License”.